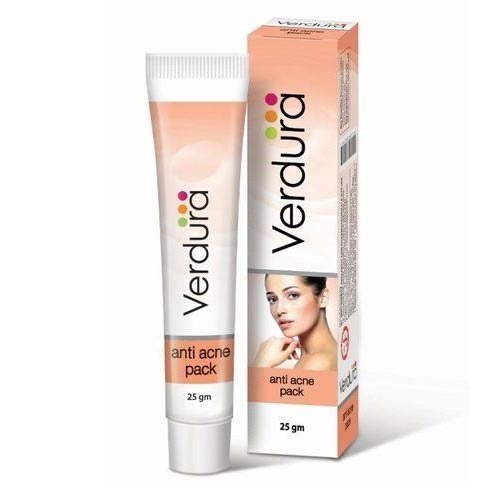 Leading Manufacturer of eve fresh pimple cure cream paste, anti acne cream, verdura anti acne pack and herbal acne cream from Chennai. Targeted activity against acne causing microbe, Propionibacterium acnes. Opens up pores of the skin. Ocimum basilicum possess anti-microbial, anti-inflammatory and anti-oxidant effects. Aloe vera offers excellent moisturization and nourishment to the skin. Possess anti-bacterial property, healing and hydrating effect. Apply Evefresh Pimple Cure Cream Paste. Allow cream to dry. Wash off face with water. (Or) As directed by the physician. Treat Acne and Hyperpigmentation effectively with Eve Fresh Pimple Cure Cream Paste & Eve Fresh Cream from Dr.JRK’s Siddha Research and Pharmaceuticals Pvt Ltd. This, specialist wash off product, opens the pores of the skin and removes the dead skin cells, thereby making the skin soft and supple. Removes the dead cells, disintegrates the hyper thickened cell deposits there by reduces pimples. 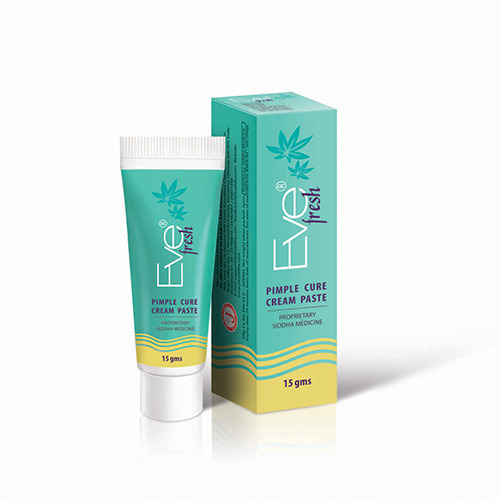 Apply Evefresh Pimple cure cream paste on the face evenly and allow it to dry. 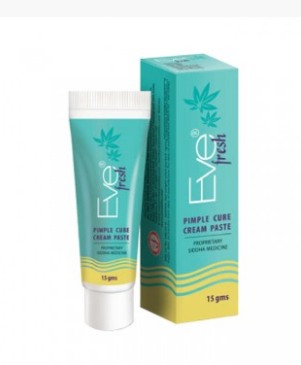 Once pimples are cured, use Eve fresh pimple cure cream paste thrice a week. Apply cream on face and neck and spread evenly. Use twice a day. Continue regular usage to maintain fair, healthy and glowing skin and to remain fresh all day. Ocimum sanctum possess anti-microbial effect and along with zinc oxide combats pimple causing microbes. D-panthenol and Glycerin offer excellent moisturisation and nourishment to the skin. Bentonite, calamine and Salicylic acid control the sebum and remove the deposition of dead cells. Titanium dioxide and calamine offer sun protection. Wash face gently after the pack dries. Apply Evefresh Pimple Cure Cream Paste. Allow cream to dry. Wash off face with water.